These toy figures are from a collection of 56 Smurfs which used to ‘ride’ in a Meccano ferris wheel to amuse Sydney Meccano enthusiast Malcolm Booker’s children during the 1970s. The Smurfs came to the Museum with a large collection of Meccano and Meccano copies (including Ezy-Bilt, Buzz, Bral, Temsi and Jolei-Spiele) assembled by the late Sydney mining engineer, Malcolm Booker. As a child Malcolm was a keen Meccano builder but became both an avid Meccano collector and builder as an adult. 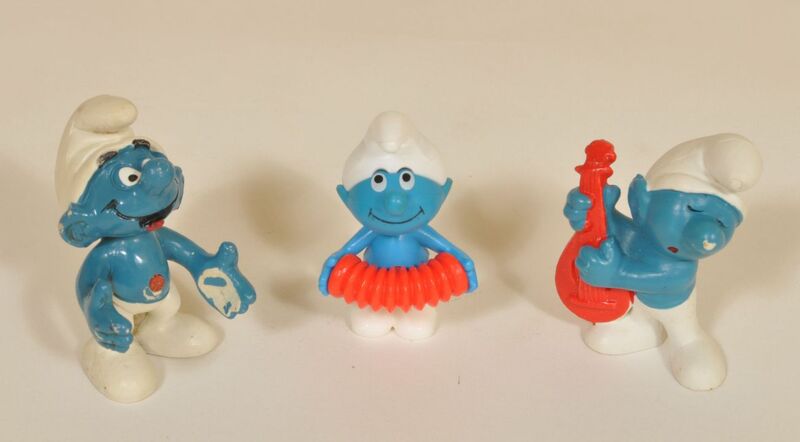 This collection of toy Smurfs were used to 'ride' in the Meccano ferris wheel to amuse Malcolm Booker's children.